Come and join me on a six week nature writing course that I am running in Foredown Tower, a unique location on the edge of Portslade where the town and the countryside meet. It is an opportunity to experiment with a range of techniques and to explore the physical world in your writing. 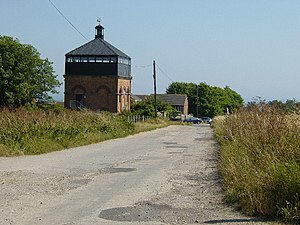 Foredown Tower is a former water tower with wonderful views across the Sussex countryside. It was built over 100 years as the water tower for Foredown Hospital, an isolation hospital that was demolished in the 1980s. It is now an adult learning centre and the home of a camera obscura. Sounds enchanting. How I wish I was closer! I think it will be pretty special and it’s a great location. This entry was posted on May 28, 2013 by bridget whelan in Muse, News and tagged Brighton & Hove, creative writing course, Foredown Tower, nature writing, Portslade.